We had a fantastic day early this month choosing the winners of the Somersham Incentive Competition. 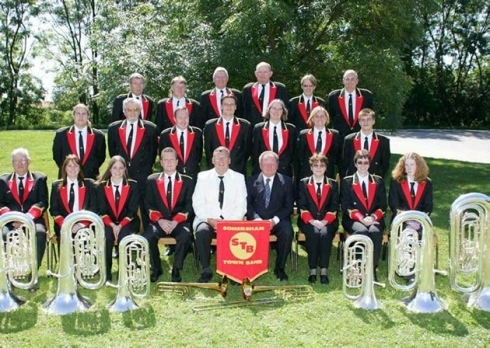 The four judges had a guided tour of the Nature Reserve and Lake from Somersham Nature Reserve Group and had the opportunity to blow their own trumpets (well, Cornets and French Horns) as part of Somersham Town Bands’ presentation. There were three entries in this round but after the scores were added up it was a draw between the Town Band and the Nature Reserve with the prize being split between them. The Nature Reserve will be planting a community orchard with lots of associated activities and the band will use the money to encourage more young players to come forward to learn an instrument. In order to encourage Somershams local interest groups to find different ways of promoting their activities Ed and Matthew Hall (Cambridgeshire County Council) ran a training session for three potential community reporters in the village. They were shown how to make a short film, use YouTube and how to embed films onto WordPress. We made a short film (in a week!) for the Somersham Service Challenge Workshop in order to raise awareness of the issues facing older people in the village. It was also an excellent way to enable people who couldn’t be present that day to have some input into the event. 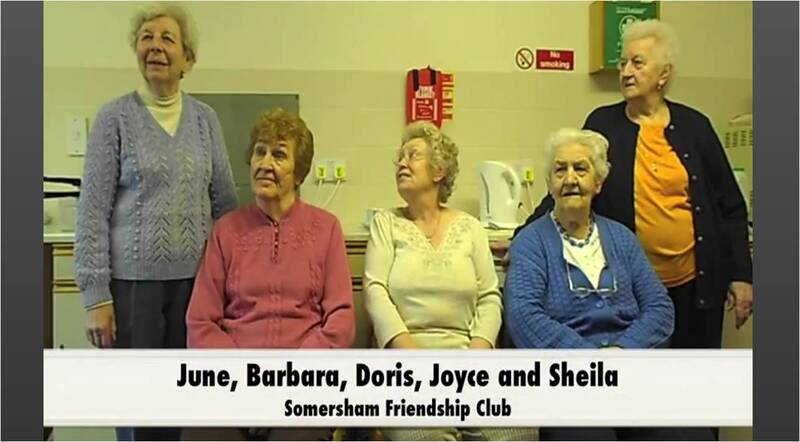 Somersham Friendship club enjoying being filmed! What have we learnt this month? We are revisiting our thoughts about using film in communities. The film we made for the Somersham Service Challenge Day was well received, useful and simple to create and we will be using and making films again in future work. What’s been challenging this month? There don’t seem to have been too many major challenges this month! We have been concerned about ensuring that ongoing support is in place for the four communities we have been working with and of course there are always deadlines/milestones to complete…. The Icarus workshop at the end of the month helped us to see exactly what has been achieved over the past year and it was great to hear some of the positive comments coming from the communities we have been working with. Overall the new methods of consultation, the filming and the competitions do seem to have generated more interest and participation in community issues and we will be using many of these new approaches in our work going forward. We are proud that we have delivered we said we would, adapted and improved our approach where necessary and created positive changes in four great rural Cambridgeshire communities. Pidley videos – the lot! All the footage taken in Pidley for you to enjoy. Prickwillow’s community film has been finished and shown to the community; twenty people turned out to view it (good for a small village) but perhaps more significantly sixteen stayed for the Village Council meeting afterwards (normal attendance: 4). The film prompted a good discussion after it was shown and this probably helped to retain Prickwillow residents for the following Council meeting. The Mayor of Ely also attended the Village Council meeting which he has been doing since the beginning of the Neighbourhood Challenge project. Ely City Council is Prickwillow’s Parish Council and they have been keen to develop their link with Prickwillow and saw the Neighbourhood Challenge project as an ideal opportunity todo so. The Mayor will be presenting the film to the City Council soon. The winners of the Pidley Neighbourhood Challenge were announced: the Pidley Playground Group. We also held a constructive meeting with the winners to help them develop their plans for the future with representatives from Pidley Parish Council, ACRE’s playground specialist, Young Lives and a neighbouring Parish Council who have recently installed a new play area. 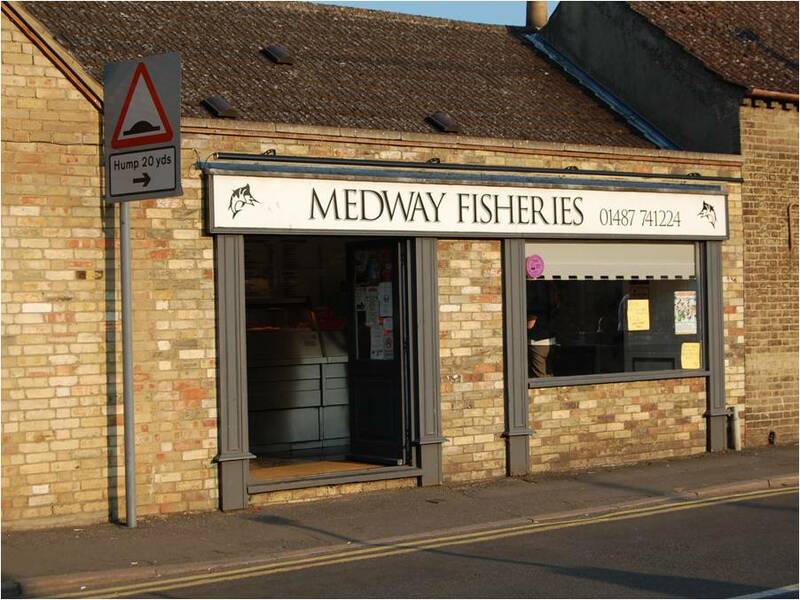 Advice was given on funding, Parish Council responsibilities, equipment sourcing and consultation. The unfortunate news is that the Village Hall Committee has not granted the Playground Group the use of the field next to the Village Hall but the group is determined to carry on, search out some new land and work with the Parish Council to make a new play area in Pidley a reality. Planning a training day for potential community reporters in Somersham. 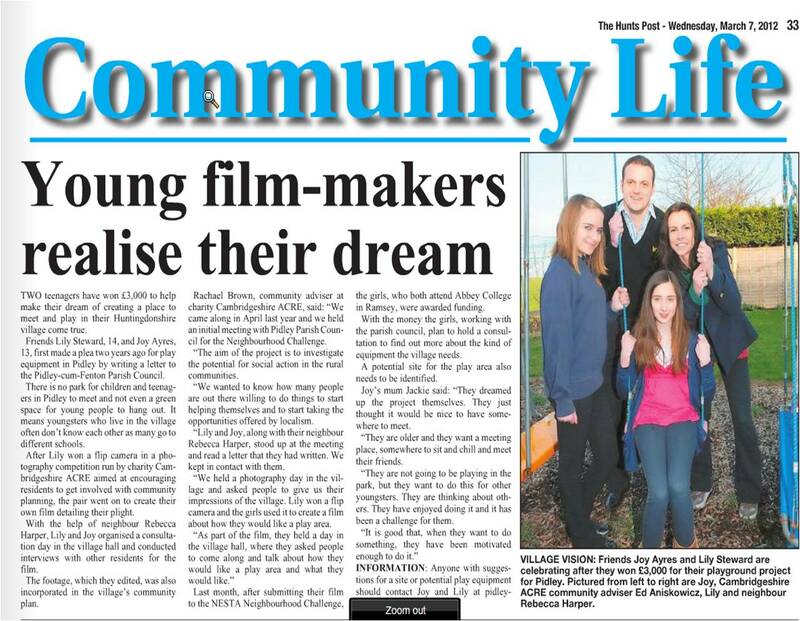 The film showing in Prickwillow reinforces our opinion that community films are good engagement tools. Willing participation in making the film was low but interest in the outcome was high. Our experiences in Pidley have provided a lot of learning. Volunteers in the established village groups have been contributing towards their community for years and are very sensitive about their achievements. They feel they have worked hard for the good of the community and resent criticism of their actions from others who are not active in village life. This is understandable. In this situation it is possible that new ideas/innovations are seen as implied criticism of themselves and their efforts. Residents wishing to try something new have a choice of either joining these established groups in order to work with them or work outside of them and face resistance. The standard answer to this dilemma is early engagement with the established groups but (as in the case of the Playground group) this is still no guarantee of positive support. Perhaps in instances like this the involvement of a neutral third party (such as ACRE) is beneficial to provide ongoing support for all and get conversations going. The meeting in Pidley had potential to be a difficult one with various different viewpoints present, however once everyone started talking it turned out to be more beneficial than we had anticipated. Getting more Prickwillow residents talking about village issues. 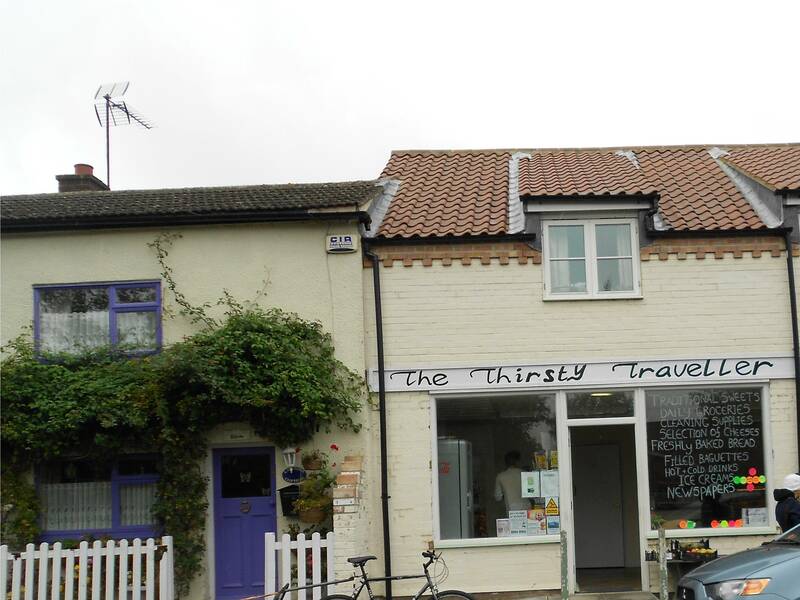 We have the Tydd St Giles Community film to show you with the Prickwillow version to follow very shortly. We are unable to put the Pidley film onto open access view for the reasons I have blogged about below (see ‘What have we learnt this month’). However Alice was shown the Pidley film when she visited in December and we have sent a restricted access YouTube link to NESTA . Once the necessary alterations have been made we will be able to put the link onto the blog. The final editing of the Prickwillow and Tydd St Giles films is complete. The Pidley community film was shown to the community in their Village Hall. We are supporting Pidley Parish Council in distributing an affordable housing needs survey. There is much controversy in the village about the building of more houses and this was highlighted through the consultation process this summer. In order to gain a fuller picture of the needs of the village the Parish Council has decided to implement an affordable housing needs survey. This is working outside of the normal practices where the survey would be commissioned by the District Council and local Housing Association and it will be interesting to see how both organisations react to the results. We have been supporting the Somersham Challenge Prize entrants to develop their project ideas through a number of one to one support visits and have arranged a combined Service Challenge and competition support meeting with Pidley competition entrants focussing on play provision. We had a very positive meeting in Somersham where the theme for the Service Challenge day was established; a workshop investigating the potential for the co-production of services for older people in the village. We have also contacted the County Council who have agreed to run some training sessions on community reporting in the village and we hope to use this opportunity to create a short film for the workshop which depicts the challenges faced by older people living in Somersham. Initially we had a very positive response from the community in Pidley when they were shown the film. Thirty four residents turned out to the viewing and the Parish Council hosted a very lively question and answer session. However afterwards we received a phone call from one resident who was very upset because he had taken a number of phone calls from other residents questioning him about what he had said on the film concerning the need for housing in the village. We were concerned about this because the resident in question had been very supportive of the filming and we felt we had put him into a distressing position. We offered to remove his clip from the film and issue an apology for the upset we had caused him. This has led us to reflect upon whether a film is an ideal medium to use in a village with many contentious issues. We were aware of the various viewpoints held in the village and tried our very best to create a film which we thought would create no offence however we have learnt that what is said on film can be wrongly interpreted by others if the issue in question is a sensitive one. Obviously dealing with the reaction of some Pidley residents to the film has been challenging. We have also found the timescales involved in film editing have surprised us and incurred some rearrangement of project plans. Despite the problems we have had in Pidley we do feel that the project is having a galvanising effect on the community. 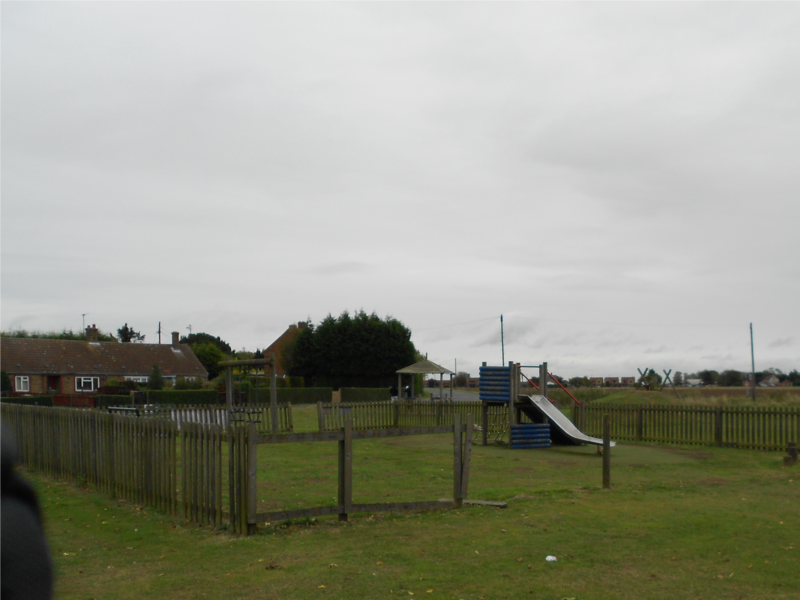 The Parish Council has requested a housing survey and is looking at ways of securing land for the play area. The Pidley Playground group has created a film to express the need for a play area and is currently looking for funding. At the film night residents were asking what they could do to solve the traffic issues in the village. However we are mindful that having created these situations we must provide the necessary support for the future. December blog: in a user friendly format! I did blog in December but have since realised that I didn’t address the reporting questions thoroughly so here is my December blog (slightly!) delayed. All the information in this refers to December; I will blog about January next week! This month has been all about filming. December has its limitations as far as creating footage for a film goes but the weather was kind to us and we got several sunny days, however lack of daylight hours was restricting. Ed and I created two film plans for Prickwillow and Tydd and in doing so followed a similar format to the Pidley film i.e. a series of interviews themed around the various issues which arose from the initial consultation work and then some action points to suggest how these issues could be addressed. We met with Tim from Young Lives and talked this over and asked him if he could edit the film so that it was more than just ‘talking heads’; he suggested a split screen effect of images on one side and interviewee on the other along with a ticker tape of facts along the bottom of the screen. We also wanted to embed some genuine clips taken by residents themselves into the film and asked a few young people and their families if they could manage this. Two girls in Tydd came forward and were very keen to get involved. They borrowed a camera from us and filmed their views on village life. Two families in Prickwillow were going to do the same but unfortunately the children in one family came down with flu and a baby arrived very early in the other – we wish them well. It is not easy to get community members to appear in a film about their village. 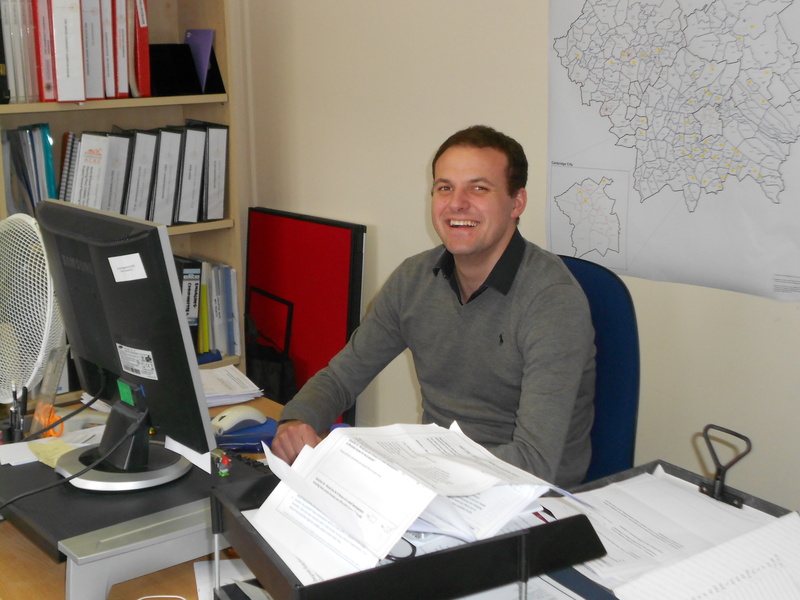 We had to do a lot of persuading and develop a very relaxed, informal interview approach. Many village residents do not want to express their views on film as this is not an anonymous approach and there are often fears that identification with a particular issue could lead to bad feelings within a village. Successful engagement in filming relies upon having developed good relationships within a community if you are an outside agency. Presumably if you live within the community you are filming this is easier to achieve however this situation brings other problems such as the potential accusation of bias. You cannot rush the editing process – it takes time to get the results you want. Creating two films in a short period of time, not having as much time as we would have liked to try different approaches on order to get more community involvement in their creation. The initial edits from Young Lives needed some extra work on them and we couldn’t send them to NESTA. I suspect that we all of us (ACRE and Young Lives) underestimated the amount of time it would take to create these films. Considering these were the first films we had full control over I think we did well to plan, schedule, film and get to first cut (picking up a bit of film terminology here!) two films in two weeks. We originally planned to deliver a Service Challenge Day in both Pidley and Somersham in December. However we now realise that we have been a bit ambitious in our planning as we have also committed to creating two community films in the same time scale. We have discovered from making the Pidley film that there is quite a bit of planning, scheduling and general organising involved in film making, in particular when trying to involve community members. Based on this we contacted NESTA to see if we could move the Service Challenge days into the New Year as we felt that this would give us, the communities and the service providers involved more time to decide which community issue to address and to develop ways of exploring it. NESTA have agreed to this change and we are now talking to the two villages to choose an issue to centre the days around. How have the villages we work with responded so far to the project? 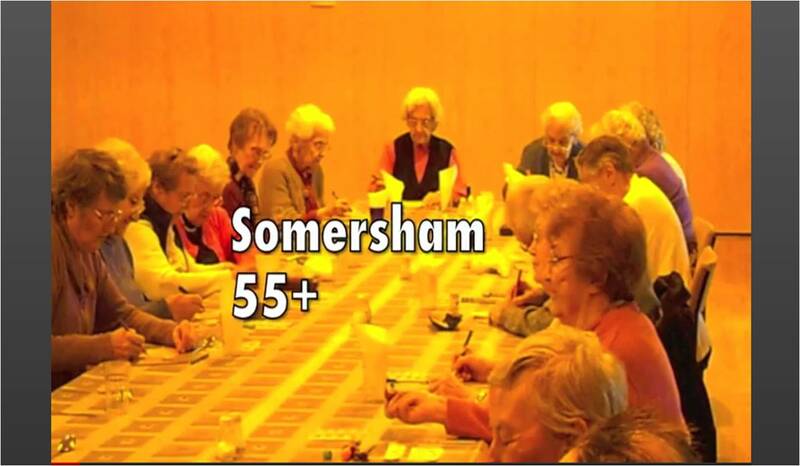 Somersham: One of the main issues identified this summer in Somersham was the difficulty in distributing information in the village as it has a large population (virtually a small town). The Parish Council has responded by increasing the frequency of their village newsletters and is working towards putting a new, open access noticeboard in the centre of the village. The village also has a blog (www.somerhsham4u.org.uk) on which they have developed a’ groups’ page to promote the various local groups and give details of forthcoming events. There have also been four entries into the Neighbourhood Challenge competition which are attempting to address some of the issues identified earlier in the year. Pidley: Pidley Parish Council has taken on board the issues raised by their community and have started to take action on several points. They are currently arranging a housing survey for the village, have contacted the Highways department of the Council over creating a pathway to Somersham and are investigating sources of funding for a new play area and establishing exactly how many young people there are in the village with a view to developing a park for the young people. 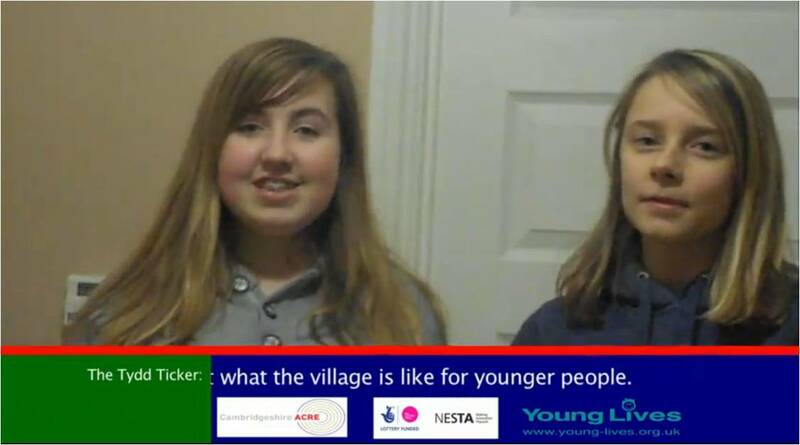 The two competition entries from the village are focussed on youth provision (a main issue raised through the consultation) and the two girls who have been campaigning for a while for a park have recently made a film which they are showing in local schools and are applying for more funding to help their cause. Tydd St Giles : One of the main issues emerging from the consultation work in the autumn was the need for an improved play area. 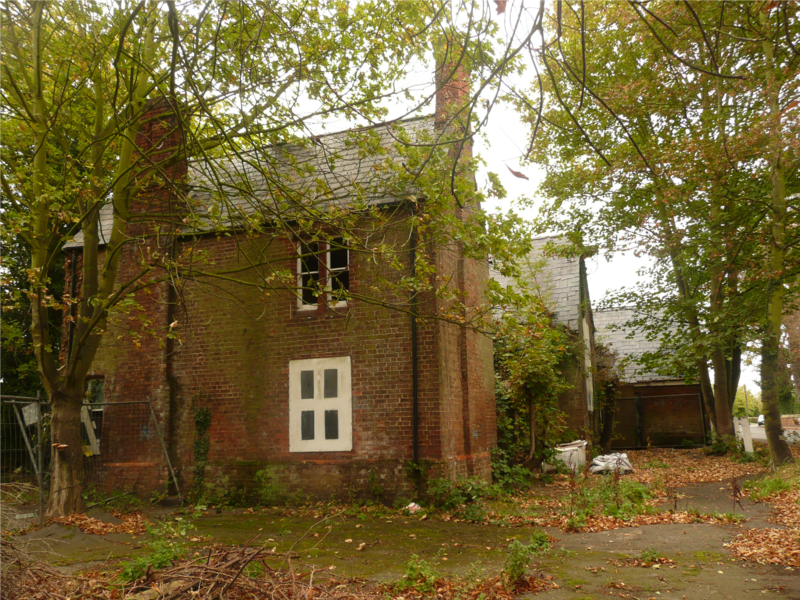 The Community Centre Committee started an application for funding to address this a while ago and then (for various reasons) it came to a halt; they have now restarted this process as a result of the interest shown through the photographic consultation. Two young girls have made a film to demonstrate how they would like the village to develop and in particular how facilities in the youth club could be improved. 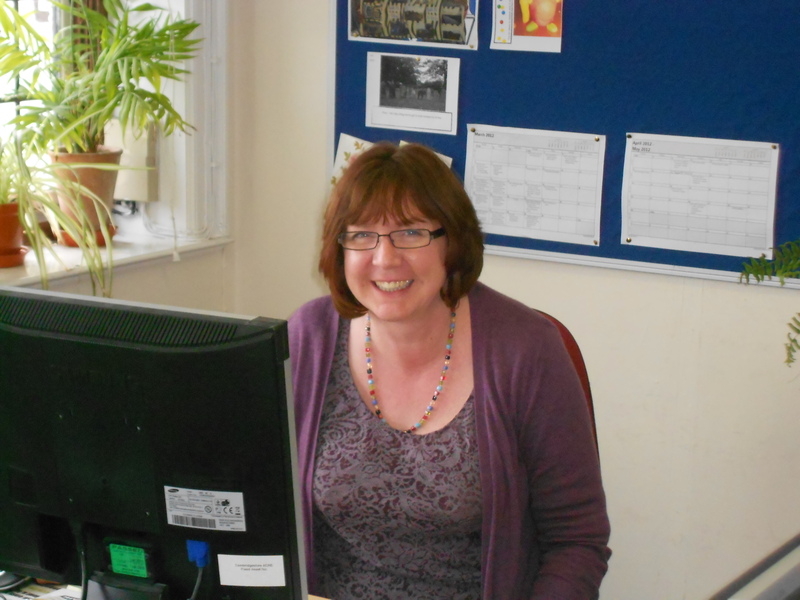 Prickwillow: The village council have taken down their old website and started a new one and are looking at ways of reinstating the village newsletter as a need for improved communication within the village was expressed by the community. 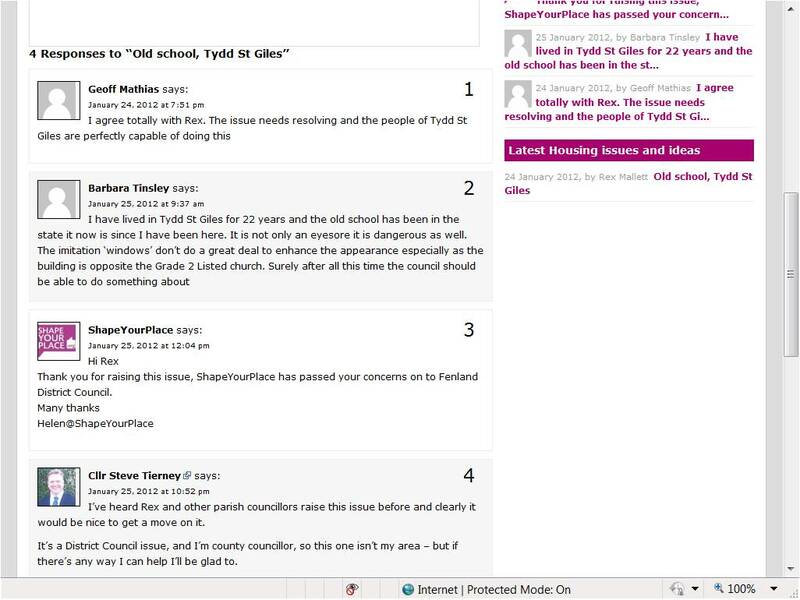 One of the main results of our work has been to foster the relationship between the village and the City of Ely Council which is effectively their Parish Council, the lack of broadband is being raised by the City Council with other local authorities and hopefully this will result in improvements being made. Interest in developing a community buying scheme or integrating a shop with the Prickwillow drainage museum has also been expressed. Throughout the project we have been aware that we will want to use the learning gained to improve our existing community planning process. We have considered all along how the various methods we have employed could be used by rural communities going forward and have tried to develop them to make them replicable in the future. We are considering whether to include out learning into our existing toolkits or whether to create a series of standalone fact sheets which we could post on our website for communities and other organisations to access. Here are some of the more creative pictures taken as part of the photo challenges in Tydd St Giles and Prickwillow – enjoy! November has been very much a month of compiling all the results of the previous months work and using it to plan the work going forward. We have now completed all the One Day events, all the Action Day/Community Get Together events and used the information gathered to create four action plans – one for each village. Usually an action plan would be created by a steering group from the village however as we have been leading on the planning process we felt the onus was on us to create the draft action plan. We have discussed each plan with each village and made whatever amendments they have suggested. Pidley, Tydd St Giles and Somersham have accepted their action plans and we are waiting to hear the feedback from Prickwillow – when it was presented to the Village Council they were positive about it but not all council members were present and able to comment. Learning and Challenges: This process has been relatively trouble-free and it is good to know that the consultation through photography and community events is robust enough to develop action points and hence community plans from. We are currently planning and scheduling the filming in Tydd St Giles and Prickwillow which will take place in the first two weeks of December. Tim from Young Lives will be doing the filming with us and editing the films. We have kept the basic format of the Pidley film but have have decided to ask some community members to make their own ‘mini films ‘to add to the overall footage. We are supplying them with the cameras and support to do this. Learning and Challenges: This has not been relatively trouble –free! We have had difficulty in particular with getting contributors in Prickwillow to come forward – this is a mystery to us as Tydd has not presented us with the same problem. One possibility is that Corrina from Young Lives was the main point of contact for Prickwillow and her secondment to the project has ended. Although we have all met the community in Prickwillow perhaps this very basic change has altered the level of engagement. We are learning the mechanics behind film making and editing and are honing our skills in persuading communities to take part. We will reflect some more on the whole issue of film making and how this can be taken forward in our future work once we have the experience of these two films behind us. 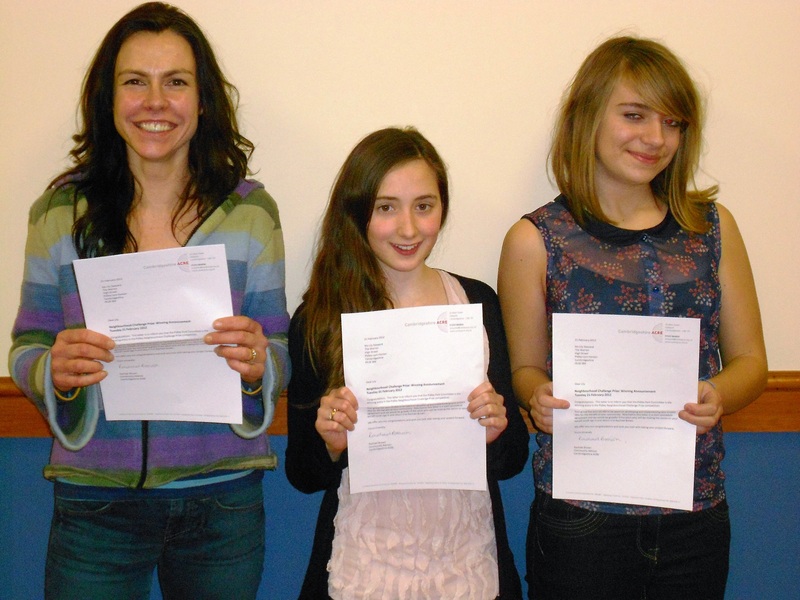 Entrants from Somersham and Pidley have been contacted about round two of the competition. Again, we have decided to take different approaches in each village. In Somersham the judges will visit the village and each entry will have the opportunity to present their project idea to them however they wish (e.g. film, PowerPoint, site visit, demonstration, presentations). We are offering support in the form of advice and resources to help each group develop their idea in order to reach the judging criteria and will also discuss ways of presenting their project to its greatest advantage. In Pidley , where the entries are addressing similar issues we are going to combine the support we offer with the Service Challenge Day to enable the groups to plan their projects, investigate further funding and identify/address potential barriers. Pidley entrants will be judged on the strength of their project plan and a written statement on how their project will affect their village (effectively how it will meet the judging criteria). Learning and Challenges: One piece of learning which has cropped up time and again is that a ‘one size fits all’ approach really doesn’t work well in rural communities; even between two adjacent villages there are startling differences to be seen. Flexibilty needs to be inherent in any plan for working with a community and systems need to be in place to allow this. Just a quick summary of what was discussed at the co-production workshop. 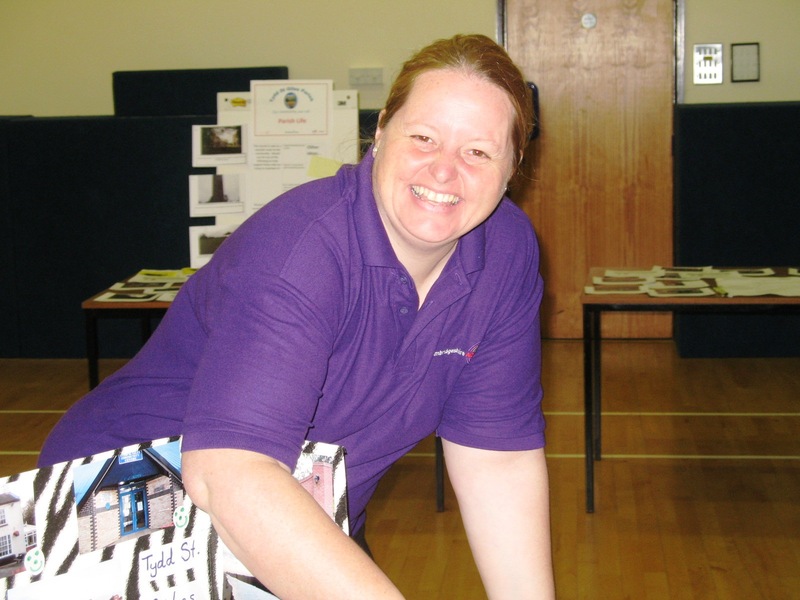 Timebanking in Cambridgeshire: Cambridge, Cambourne and Somersham have a Time Banking scheme. This is a slightly top down approach but essentially a catalyst for involvement. Concern was expressed as to whether there is a danger of over co-producing in smaller communities. Lack of time to do this Make it your day job! Reliability of volunteers Is this a myth? Community Get Together events: We realised fairly early on in this process that using photography as a means of consultation works – it is engaging, quick and gets good results. However asking people to address the issues raised from the photos is another matter and we decided that perhaps we were being too unrealistic to ask people to suddenly be able to come up with creative, original solutions to issues which have been in their communities for years. We decided to see if breaking issues down into little, easy to take steps would get a better, more positive response (see Community Get together blog for how we did it). We coupled this with some incentives to come along and take part – the Community Get Togethers were promoted as a fun event to get to know your community and what it offers. This dual approach of using incentives to improve engagement and a more approachable method of addressing issues has improved this part of the process. Filming: Making the Pidley film was fascinating – the village really rose to the occasion. The question of creating a balanced film representing all points of view made us think about how this could be done in communities going forward. If only a small group of people within a village were to make a film would they be willing to talk to people with opposing views? We are starting to believe that a ‘neutral’ outside party may need to be involved in at least the planning stage in order to ensure a fair film is created which will be accepted by the community. Co-production Workshop: The workshop highlighted that there will have to be a large culture shift in both communities and councils. The Pidley film was very useful because there were several instances of residents saying that they could solve their problems within the village if they were ‘allowed’ to by the various councils but either cost or regulations have prevented this from happening in the past. Reactions from the various councils and service providers to this were mostly positive and it appears that there is already some acceptance that they will have to work closer and give a freer hand to local communities. Three events and a film to finalize in one week! A result of wanting to get the dates right for the Community Get Togethers (in half term) and a Co-production workshop which had to be planned months in advance in order to get all the right people together. The other challenge has been to find a way to engage the whole Parish of Tydd St Giles (Tydd Gote, Four Gotes and Foul Anchor) in a relatively short space of time. We tried using social media and USBs but with no success, more initial engagement would probably have helped. Getting to know Pidley better and the positive effect making the film and the co-production workshop has had. 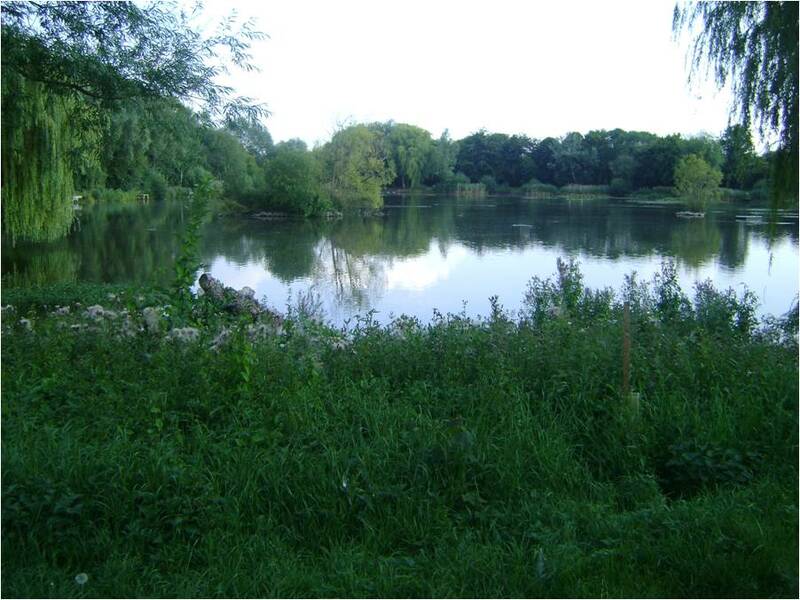 This is the blog of Cambs Rural Challenge, one of the Neighbourhood Challenge projects.